A lovely post from Rebecca Gethin about her 2010 visit to Seamus Heaney’s birthplace – and, as she says, now his burial place. Rebecca also mentions how beautiful this part of Ireland is and urges us to go there. In 2010 we set off on a poetic pilgrimage to Bellaghy in Co Derry, NI, the birthplace and now the burial place of Seamus Heaney, his ‘place of clear water’. 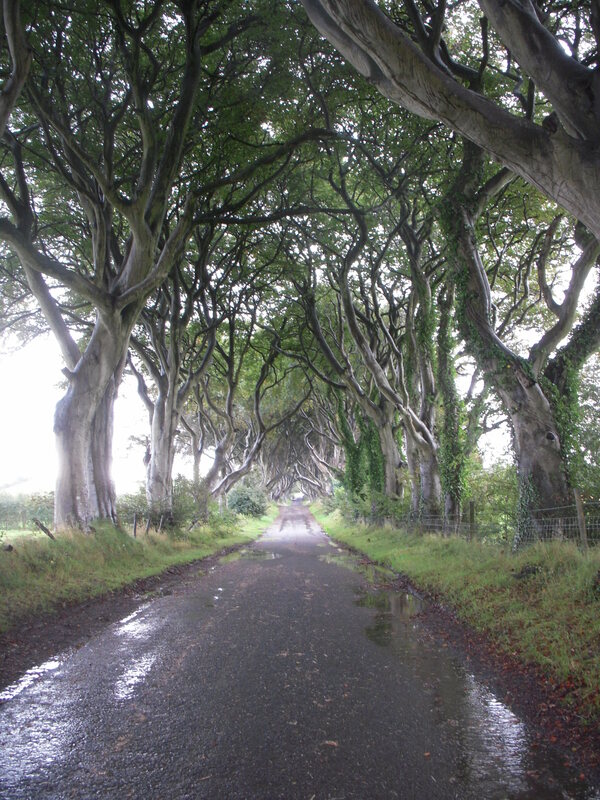 To get there from our holiday house on the Antrim coast, we had to pass this avenue of trees. It felt like passing through a portal. Bellaghy turned out to be an ordinary looking little place in Co Derry (sorry, Bellaghy but you did then). I couldn’t stop thinking of Heaney’s poems about his family and his childhood there. I was on the look-out for a policeman riding a bicycle, a turf spade, a latched doorway, a well, a pump with a windlass, cobbled yards where work went on, a lane of alders, a water diviner, a slaughter house. I even looked for a sign to a place called ‘Anahorish’. Thank you for sharing this Josephine, a wonderful moving piece.